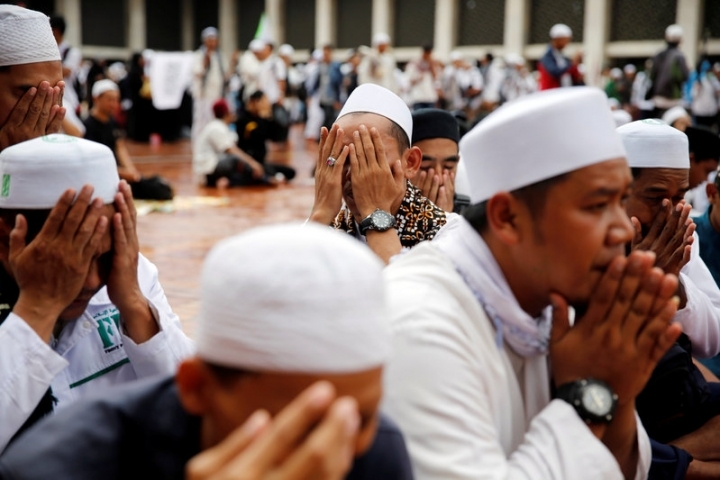 JAKARTA (Reuters) - Thousands of Indonesians gathered on Saturday at a mosque in central Jakarta, where religious leaders urged them to support a Muslim candidate during next week's contentious election to select the capital's governor. 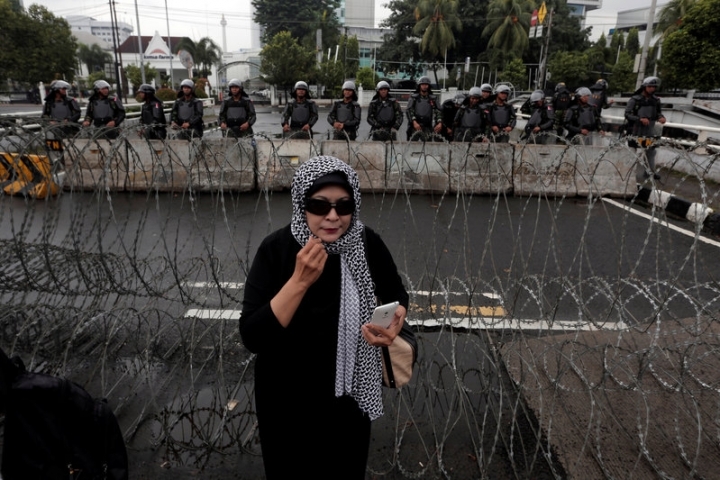 Millions of Jakarta residents head to the polls on Wednesday to pick the next governor of the sprawling city, in a contest analysts say has shaped as a proxy fight ahead of a presidential election in 2019. 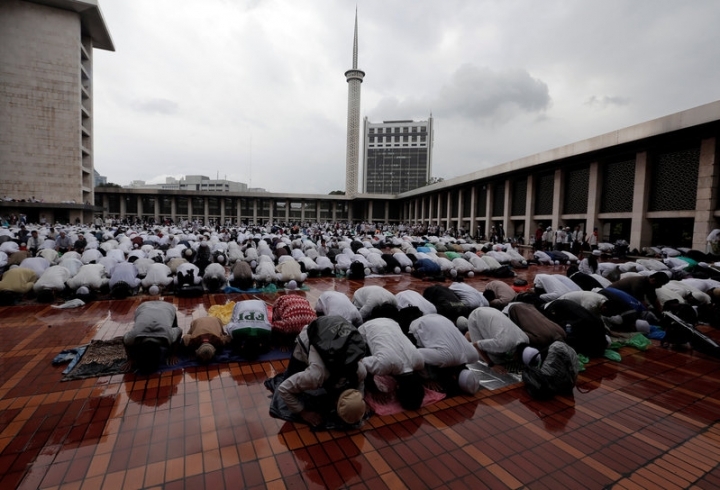 Indonesia has the world's largest Muslim population but recognizes six religions and is home to hundreds of ethnic groups and adherents of traditional beliefs. In Jakarta, the Christian and ethnic Chinese incumbent, Basuki Tjahaja Purnama, faces two Muslim contenders - Agus Harimurti Yudhoyono, the son of former president Susilo Bambang Yudhoyono, and former education minister Anies Baswedan. Purnama is in the extraordinary situation of campaigning for election while he is on trial for blasphemy, making weekly court appearances to defend himself against charges of insulting the Muslim holy book, the Koran. 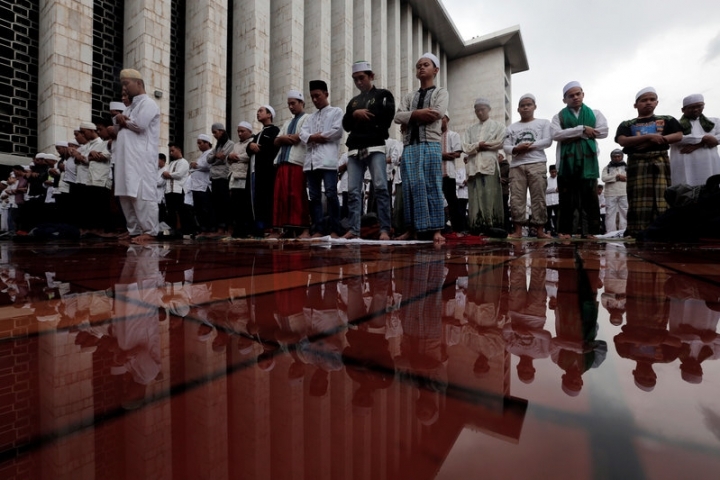 "On Feb. 15, we are happy to vote for a Muslim leader," one speaker, Maulana Kamal Yusuf, told a crowd of men and women in white robes who had poured into the vast Istiqlal mosque from the early hours for mass prayers. "Jakarta will be led by a Muslim leader who submits to the will of Allah," he added, urging his listeners to choose Yudhoyono or Baswedan. "Jakarta will be a religious city." Security around the mosque was tight, with armed military and police officers standing guard. Saturday is the last day before a 'quiet period' in which candidates and their supporters are barred from canvassing for votes. Yusuf also asked his audience to support Habib Rizieq, the head of hardline Muslim group Islamic Defenders Front (FPI), who has been reported to the police for allegedly insulting the state ideology, Pancasila, and state symbols. The allegations against Rizieq "go against justice," a senior official of the group has previously said. 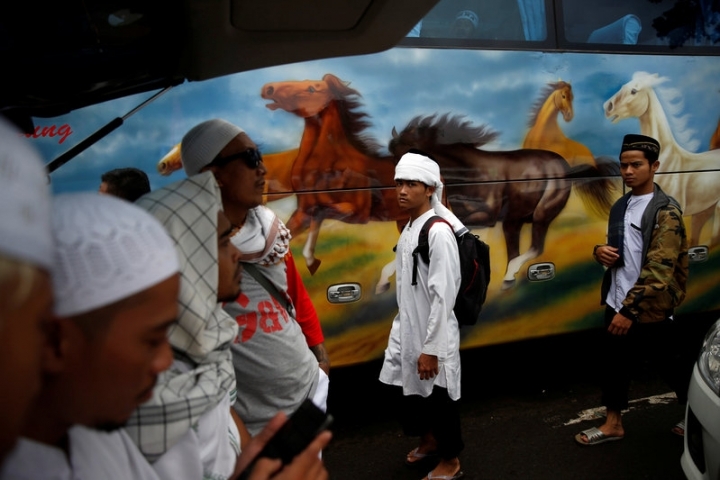 Muslim groups led by FPI have held rallies demanding that Purnama be jailed for the alleged insult, a sensitive topic in a country where the population of 250 million is mostly Muslim and Chinese-Indonesians officially make up just over 1 percent. One of the biggest rallies in November last year was attended by hundreds of thousands.